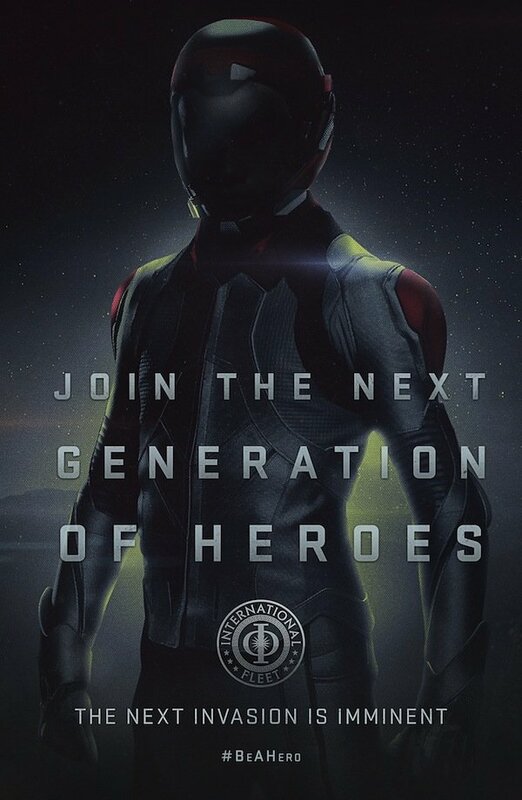 It's been a little while since we've seen anything new from Ender's Game, so it's especially exciting to see three new posters for the film. The posters set the tone for the futuristic backdrop on which this story is set. 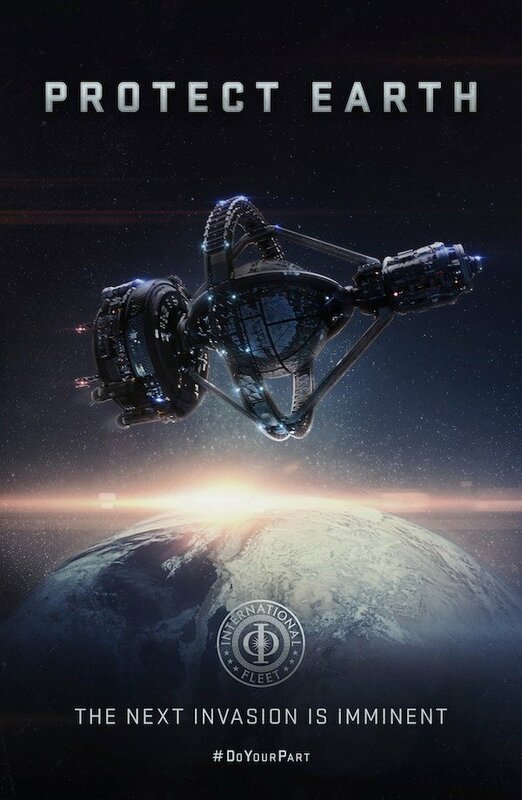 For those who haven't read the book, Ender's Game is set in the future when man is anticipating a war against an alien race called the Formics. This is a war man has fought before, which explains why the International Fleet - the global governing body - would want to keep the concern for another potential invasion fresh in people's minds and encourage their support. That includes the poster above, which shows an unspecified soldier looking heroic, and encourages people to "Join the next generation of heroes." The poster may very well be targeting children with its heroic depiction of a faceless hero, as the "next generation of heroes" is pint-size. Technically, the soldiers preparing to fight this war appear to be a bit older in the movie than they were in the book, but they're still kids. The story centers on Ender Wiggin, a particularly gifted boy who's recruited to the space-set battle school where he'll train with other kids for the coming war against the Formics. And again, this one warns of the imminent invasion, hash-tagging "Do Your Part." 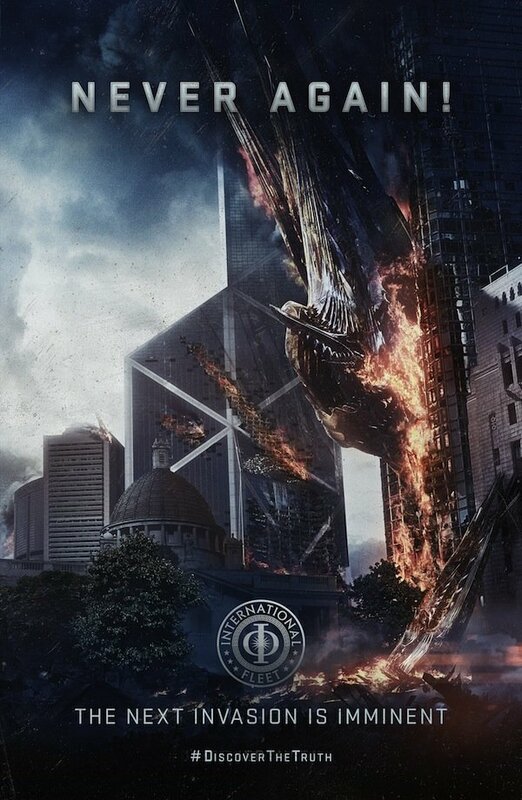 The message really hits home in this last poster, which depicts what appears to be the image of a Formic ship crashed into a building on earth, under the words "Never Again." Not exactly subtle, but if this were a real event in history, it would likely remind people of the kind of threat the Formics pose to Earth. It's a scare-tactic and an obvious attempt to manipulate people's emotions but that's how propaganda works, and no one said the International Fleet was above such methods. The new posters were shared over at IF-Sentinel.com, along with some other images, encouraging people to do their part. And from a marketing standpoint, I'd say that means fans of the book and other sci-fi enthusiasts might be able to do their part by tweeting, Facebooking and tumblring the images and blog posts to remind people that Ender's Game's arrival is imminent.